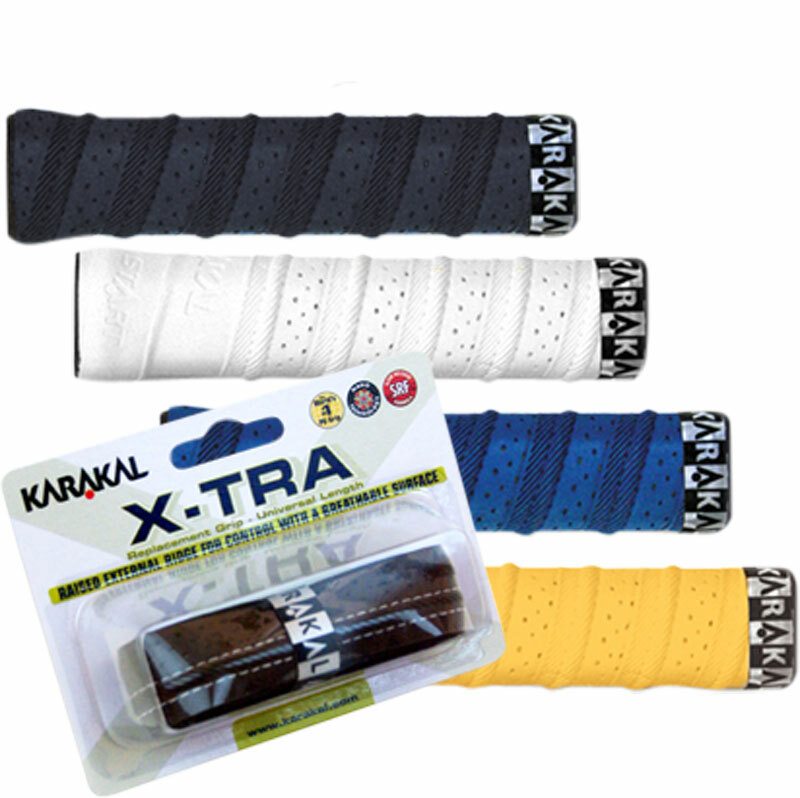 The Karakal X-Tra Grip uses our famous PU surface with a raised external contour ridge and breathing holes for a cool grip. An elasticated micro-fibre base gives this cushioned feel grip the edge you require. Breathing Holes for a Cool Grip. Suitable for tennis, badminton, racquetball or squash rackets. 5 out of 5 Super Grip! It felt as if I had a new racket again! Gave me a firm solid grip and I was confident with it immediately. I have used it on couple of my rackets and I feel that I can hold the racket with confidence. Good grip. Recommended.